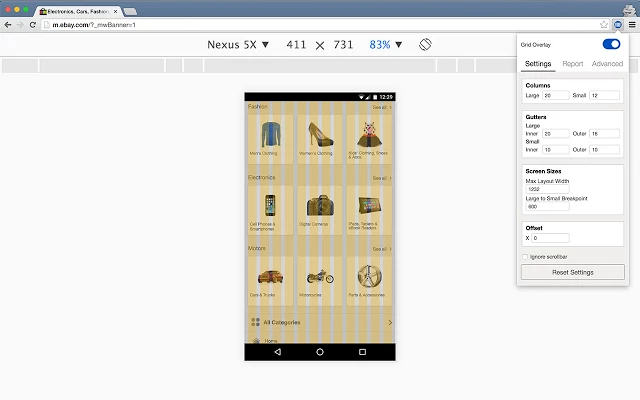 A small team within eBay’s HIG team built the Design Grid Overlay Chrome Extension. Align layouts to a common layout system. Explain the concept of flexible layouts. Currently it is available for free in the extensions section of Chrome Web store. New feature requests and contributions are welcome on the project’s Github page.